'Engineering geology' is one of those terms that invite definition. The American Geological Institute, for example, has expanded the term to mean 'the application of the geological sciences to engineering practice for the purpose of assuring that the geological factors affecting the location, design, construction, operation and mainten- ance of engineering works are recognized and adequately provided for'. 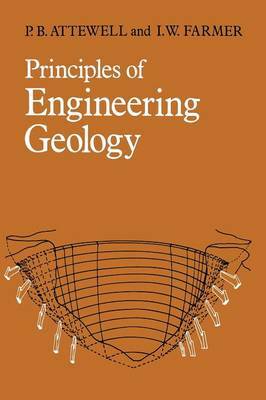 It has also been defined by W. R. Judd in the McGraw-Hill Encyclopaedia of Science and Technology as 'the application of education and experience in geology and other geosciences to solve geological problems posed by civil engineering structures'. Judd goes on to specify those branches of the geological or geo-sciences as surface (or surficial) geology, structural/fabric geology, geohydro- logy, geophysics, soil and rock mechanics. Soil mechanics is firmly included as a geological science in spite of the perhaps rather unfortunate trends over the years (now happily being reversed) towards purely mechanistic analyses which may well provide acceptable solutions for only the simplest geology. Many subjects evolve through their subject areas from an interdisciplinary background and it is just such instances that pose the greatest difficulties of definition. Since the form of educational development experienced by the practitioners of the subject ulti- mately bears quite strongly upon the corporate concept of the term 'engineering geology', it is useful briefly to consider that educational background.